“The Raspberry Pi foundation expects over 1 million units to be shipped within a year” – #piday #raspberrypi @Raspberry_Pi « Adafruit Industries – Makers, hackers, artists, designers and engineers! 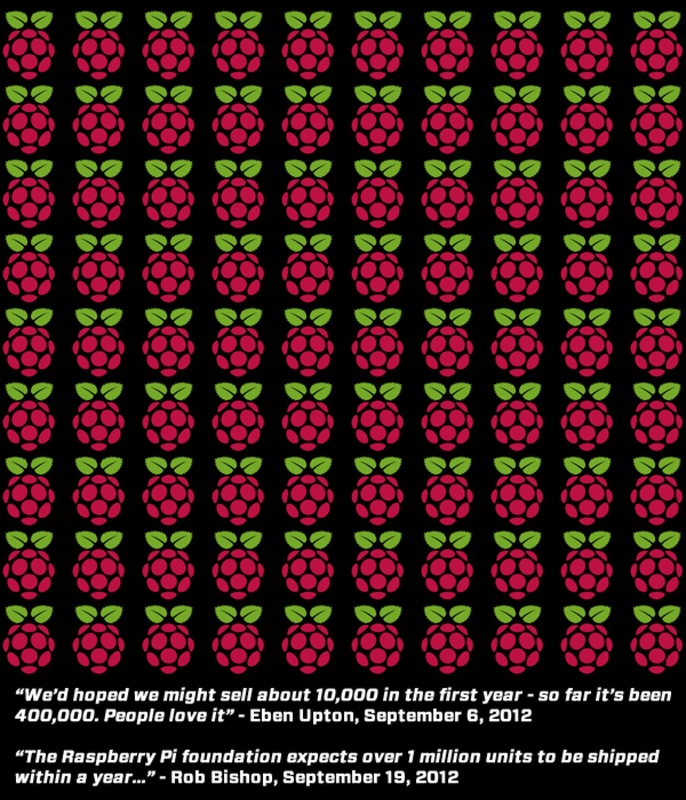 Raspberry Pi waiting list hits 250,000. Tiny computer generates big demand. Raspberry Pi production moves to Wales from China. Pi forum post (estimating 50k / month). Want a FREE Raspberry Pi? For limited time and while supplies last – Adafruit is including a FREE Raspberry Pi in all orders over $350 (not including shipping).